The next Splatfest in Europe has been determined for Splatoon 2. 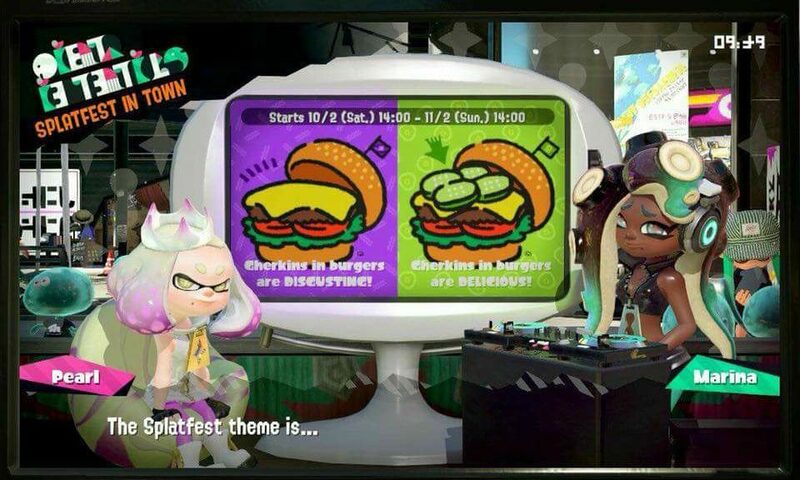 The theme for the Splatfest is do you like Cherkins (small cucumbers) in your burgers? Cherkins in your burgers Splatfest is scheduled to start on February 10, 2018 14:00 CET. It will end on February 11 at 14:00.